Most companies approach engagement as an annual survey project. Surveys go out. Employees give feedback. Some action might be taken. And then employee engagement is crossed off the to-do list until next year. But guess what? Surveys alone don’t transform business. To truly impact culture, you must integrate employee engagement activities into your business all-year round. 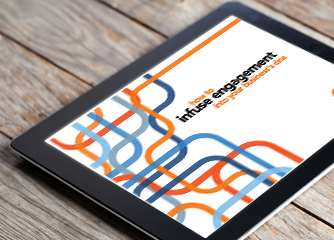 Watch this webinar to discover how to truly benefit from engagement by infusing it into your business operations. Leadership vs. HR: Who is responsible for integrating engagement into culture?